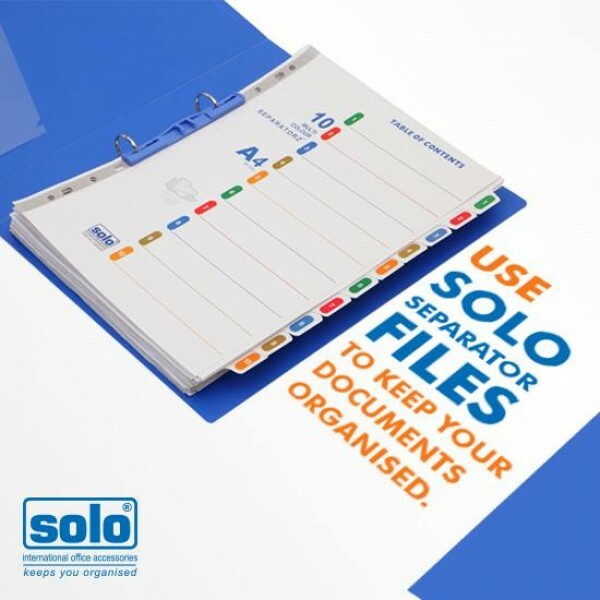 The Solo Separator File is the best product in its class of separators and can be used to collate, sort and store different types of information. 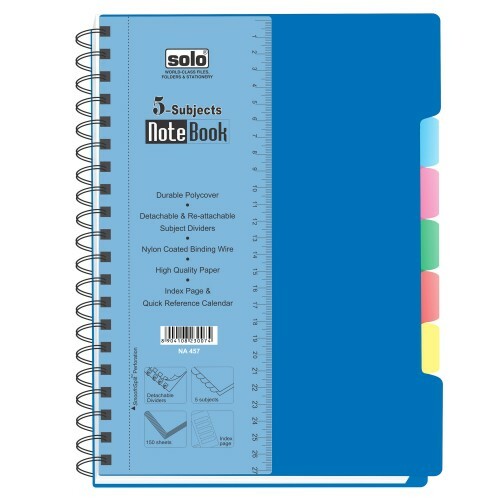 This Solo File boasts of a Set of 10 Dividers and an Index for writing subjects for the different sections. The paper used in this file is Heavy Duty Paper and has high GSM. Both the side and multi-colored tabs are numbered for quick retraction without you having to reach the index every time. 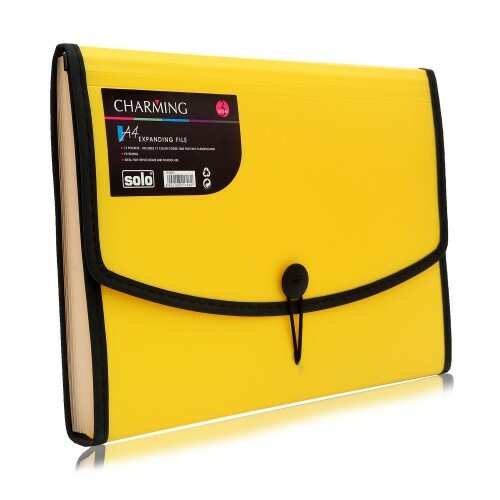 These index tabs have life-time durability and are tear-proof since they have been given Unique Double Side Polyester Coating. The index sheet is matched with the pointers converging to tabs using free colors. 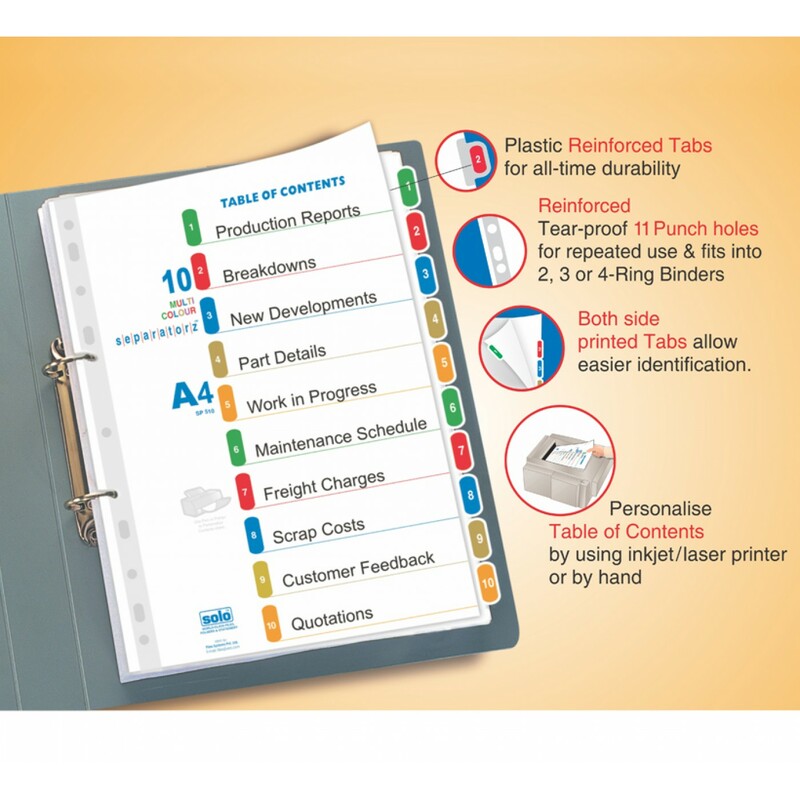 Any permanent OHP marker can be used for writing the subjects on these index tabs. Best in classes "separators" for organized filing to collate "sort & store" information. Heavy duty high GSM paper. Both side & multicolored printed tabs with numbers for quick retraction without reaching for the index. Unique double side polyester coating on index for lifetime durability . Tabs will never tear or split. Use any permanent OHP maker for writing subjects on tabs, if desired. Free colors matching index sheet with pointers converging to tabs is included. Universal 11-hole punch for easy filing. Holds up to 40 CD's.Zipper closure.Super-fine quality.Product Code: CD 040Type:CD Wallets/Cases.. 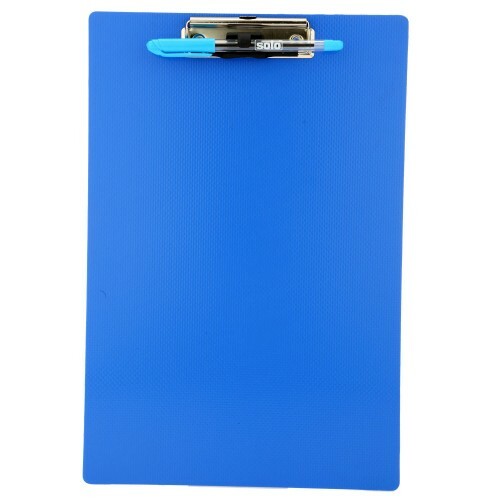 Display FoldersSet of 5 pcsCompatible for A4 sizeMRP: Rs.480.00No. of Pieces: Set of 5 pcsProduct Co..
Products code: SB003Type: Desk-Top AccessoriesCompatible Size: FCNo of Pieces : Pack of 1 piece.New ..